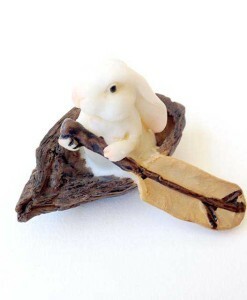 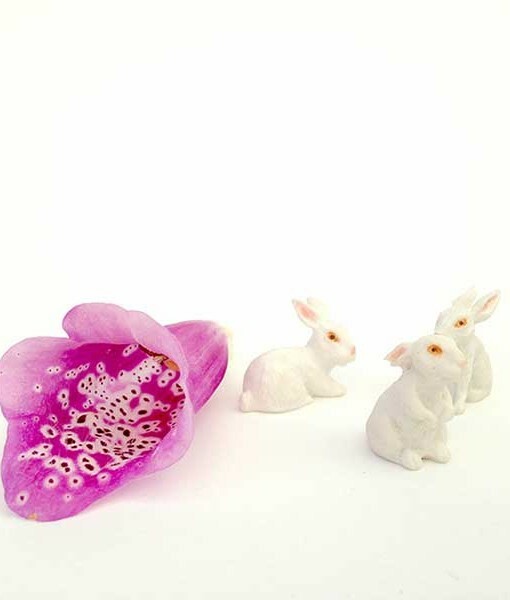 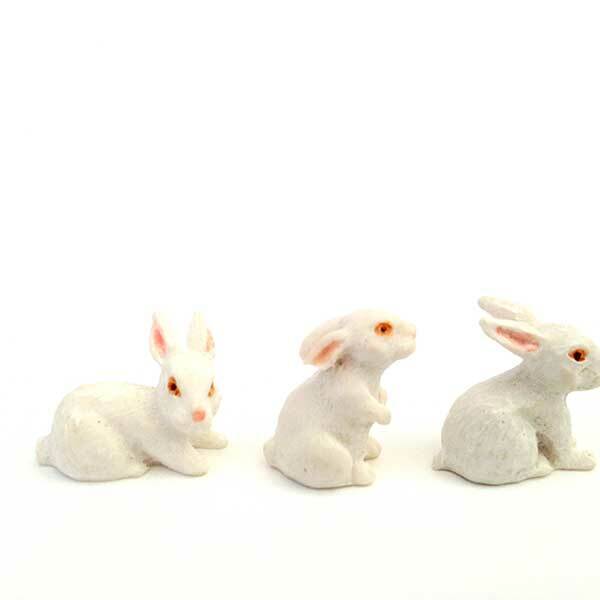 The adorable little cottontails are synonymous to Fairyland and add an essential bit of fauna to any fairy garden. 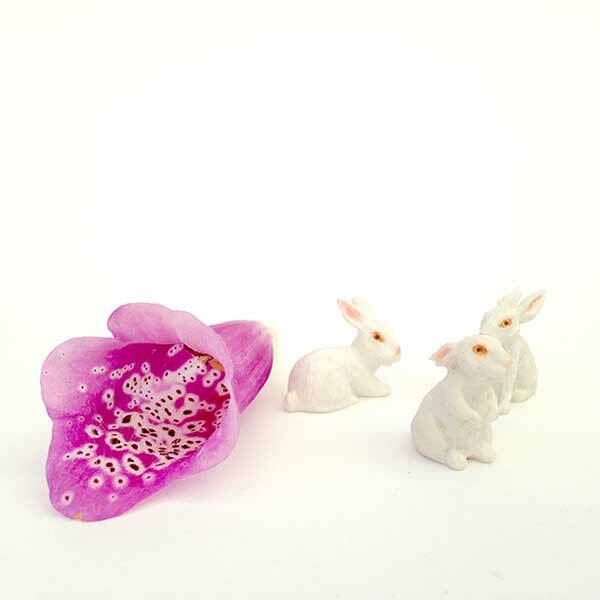 They love to attend fairy parties and play with the fairy children. 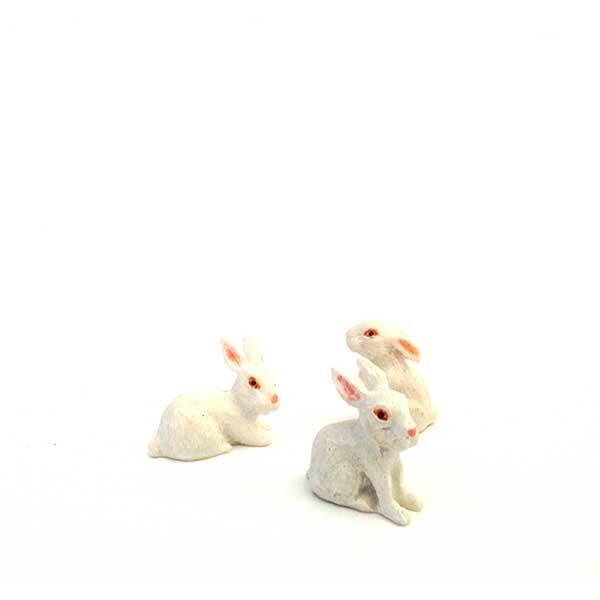 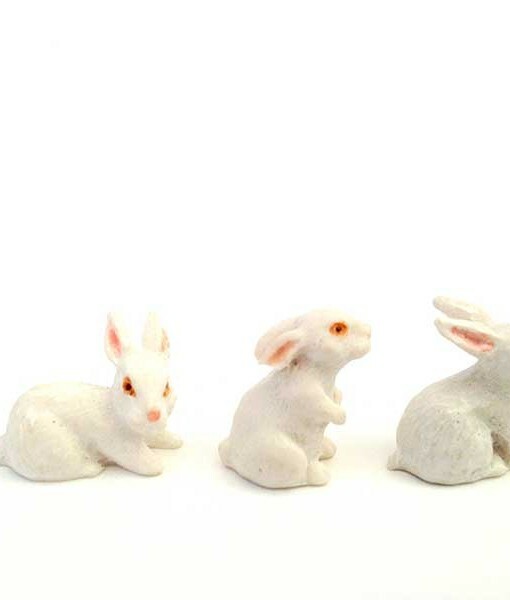 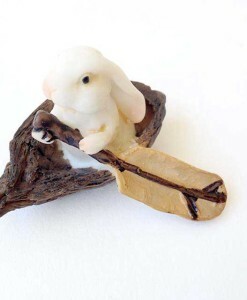 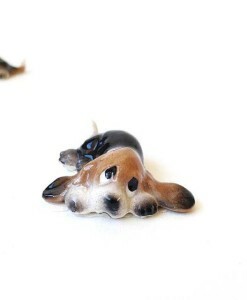 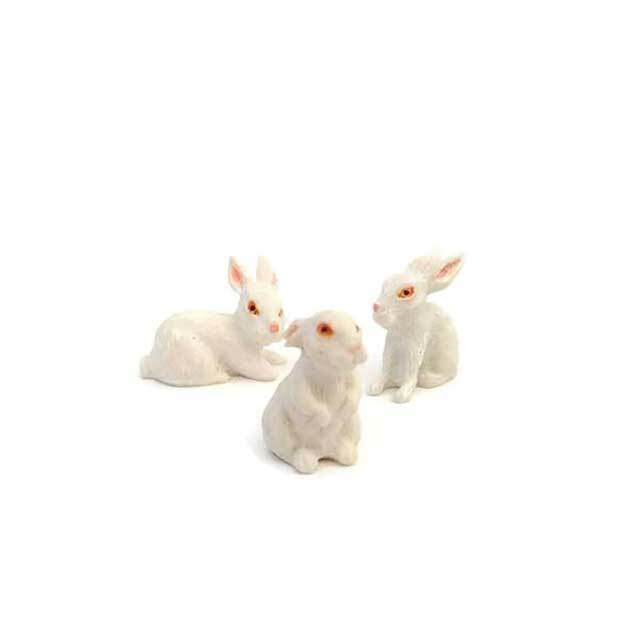 These darling miniature bunnies are welcome to any party! 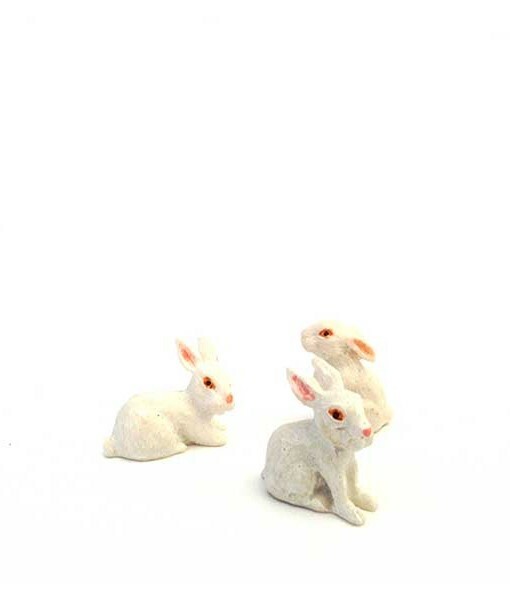 Their sweet faces and textured detail make them a must for forest scenes and garden tables as well. 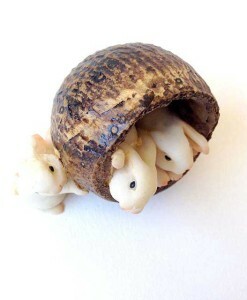 The shy little bunnies dwell along the secret stream that trickles where the blue moss grows. 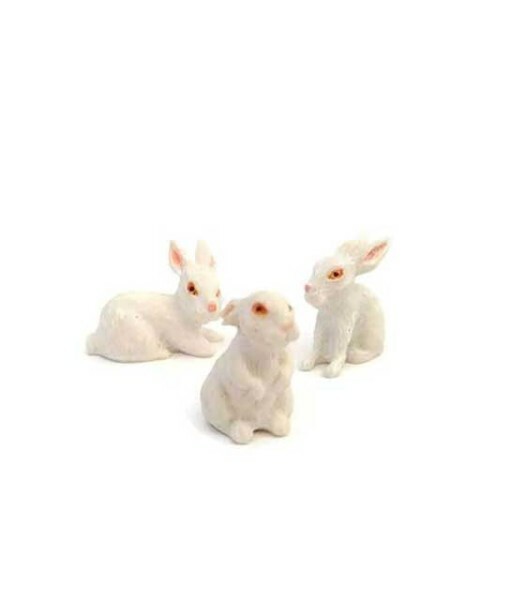 The sweet expressions on these precious bunny faces say welcome to our land of enchantment. 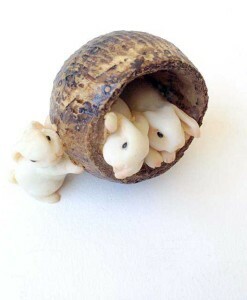 Come in a set of three. 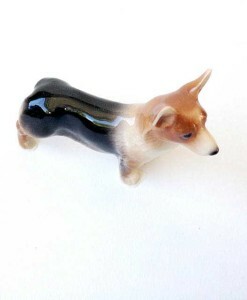 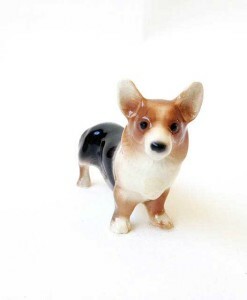 Dimensions: 5/8″ tall, 5/8″ long, 7/16″ wide.